It's no secret that Canadians pay a lot of tax. However, understanding how we are taxed can help us minimize the tax we have to pay. Click the image to the right learn more. 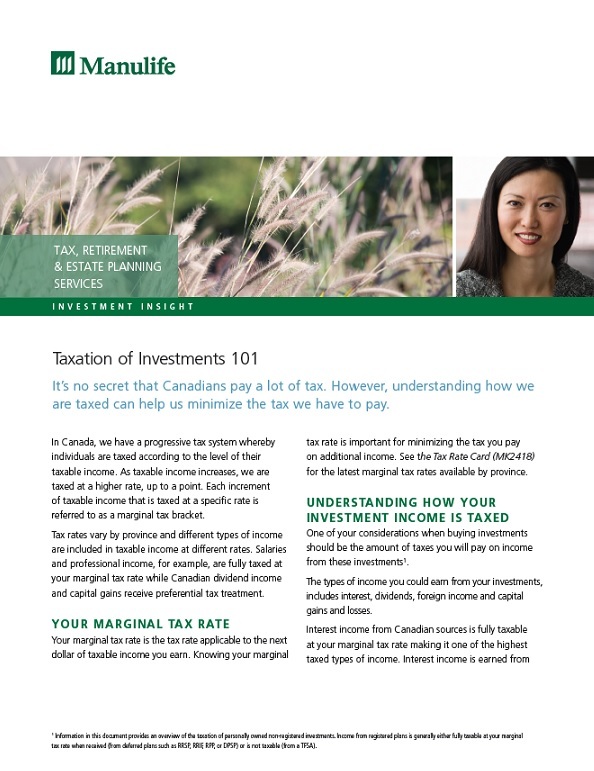 No one likes paying more in taxes than necessary, especially when that money can be used towards elements of your investment plan, such as investments, that could benefit you over the long-term. Here are a few year-end tips to help trim your 2013 tax bill. Read more about tax strategies. Income splitting is the loaning or transferring of money to a lower-income person (for example, a spouse, common-law partner or child) so that the income or gains from investing the money are taxes at a lower tax rate, which decreases the overall tax burden of the family unit. Read more about income splitting and attribution rules. 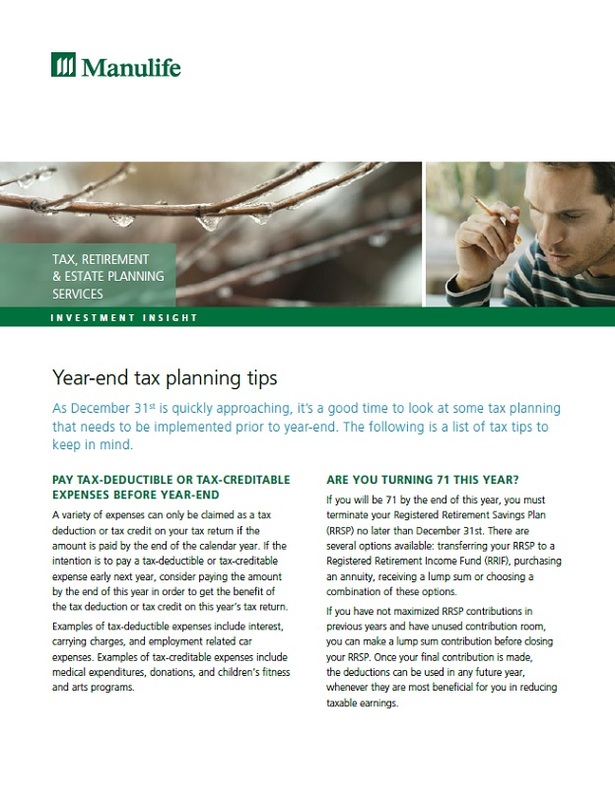 As December 31st is quickly approaching, it’s a good time to look at some tax planning that needs to be implemented prior to year-end. Click the image to the right for a list of tax tips to keep in mind. Ontario's probate process is governed by the Estate Administration Tax Act, 1998 ("EATA"). In 2011 Ontario enacted significant changes to the legislation. With these regulations in place, Ontario released its Estate Information Return, which executors will be required to file for estates for which an application of probate had not been submitted prior to January 1, 2015. To learn more about how these regulations may affect you, please contact us or click here.